SiO Digital developed a scientific formula to unleash the power of data-driven digital tactics with predictive analysis. Our process starts with big data acquisition and leads to accurate modeling. 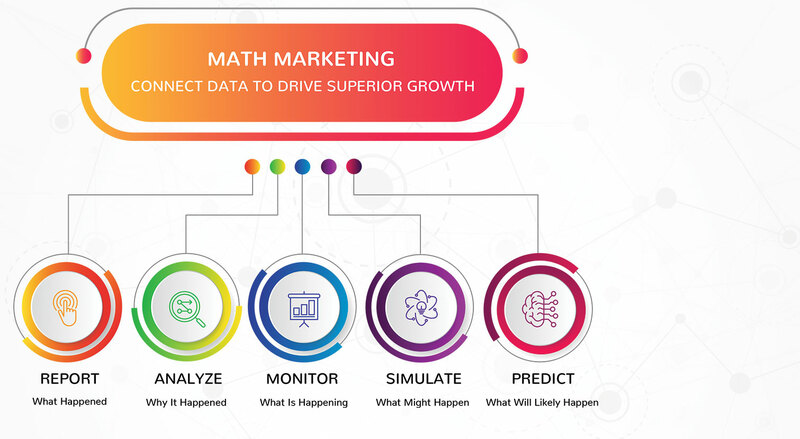 Using math marketing to understand what happened and what is likely to happen allows us to deploy better performing lead generation campaigns and forecast ROI with uncanny accuracy. Report any significant changes in your data before trying to understand the reason you are not reaching your business goals. SiO Digital uses both machine and hypothesis-based data mining to detect all events that may be related to what happened. From that data, we can draw patterns and correlate what and why. Real-time data dashboards allow us to monitor to the minute, along with a specific timeframe. Math marketing only trusts data to validate decisions and corrective lead acquisition strategies. Marketing intelligence goes beyond collecting data. Every piece of information is useless unless integrated into predictive models that help understand and simulate if/then. This is particularly valuable when devising an inbound marketing strategy to increase lead conversion rate. Model scenarios help develop a strategy to reduce risks and create a plan of action to resolve issues as soon as possible. We repeat the process for all problems, focusing especially on those that would have a big impact on your business growth. Using Mathematics as a technique to calculate (and improve) marketing ROI is an integral element of the Smart inbound Optimization (SiO) formula. Exploiting big data analytics allows us to create smarter tools. Math Marketing leverages real-time learning and instant adjustment to gain/keep a competitive advantage. Thanks to the actionable insights artificial intelligence can generate to improve B2B content marketing, inbound sales processes, lead nurturing workflows and to identify customer acquisition opportunities, SiO has become a lead conversion machine. Big data analytics and social intelligence contribute to building smart buyer personas, with a machine learning marketing strategy based on customer experience. The more we collect data, the more your ideal customer profile is refined and accurate, helping us help you sell smarter. Sales forecast results from statistics. Our inbound digital marketing agency improves sales performance and optimizes the sales funnel by reducing risk, consequently getting a higher lead to customer conversion rates. With data-driven lead generation tactics, we help you meet the needs of your prospects in all stages of the “Buying Company’s Journey”, acquire more qualified leads, and increase sales revenue. We analyze web traffic data, historical customer purchase behavior, demographics, website actions and behavioral data. Math Marketing Intelligence allows us to predict customer lifetime value, as well as increase it. We collect, identify and segment your customer data based on set qualifying criteria and behaviors to plan your short and long-term lead acquisition strategy. Data mining, key audience segmentation, advanced analytics tools, mathematics, and database marketing help forecast a more accurate marketing return on investment. SiO Digital is an inbound math marketing agency that focuses on data mining and marketing intelligence to draw accurate growth forecasts and deliver sales results. Trusting AI-powered tools helps us understand your markets and business environment, and frees time to brainstorm and look for new ways to boost our B2B clients’ bottom line. 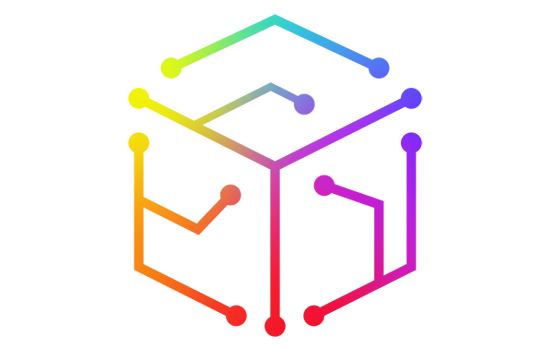 SiO is a creative digital marketing agency that happens to love numbers! 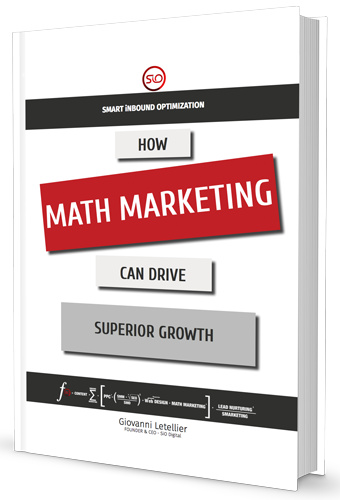 Ready to Integrate Math Marketing in Your Strategy?